Older Requested Oldsmobile Models Discuss Oldsmobile models which our members have specifically asked to have listed. Forum specifically intended for Oldsmobile Cutlass based discussions. Forum specifically intended for Oldsmobile Cutlass rear wheel drive based discussions. Forum specifically intended for Oldsmobile Cutlass front wheel drive based discussions. Forum specifically intended for Oldsmobile Toronado based discussions. Forum specifically intended for Oldsmobile Eighty-Eight based discussions. Forum specifically intended for Oldsmobile Eighty-Eight (88) rear wheel drive based discussions. Forum specifically intended for Oldsmobile Eighty-Eight (88) front wheel drive based discussions. Forum specifically intended for Oldsmobile Ninety-Eight (98) based discussions. Forum specifically intended for Oldsmobile 442 based discussions. 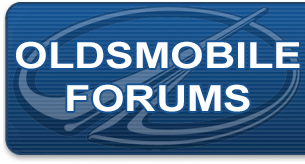 Forum specifically intended for discussions regarding Oldsmobile models not currently listed.